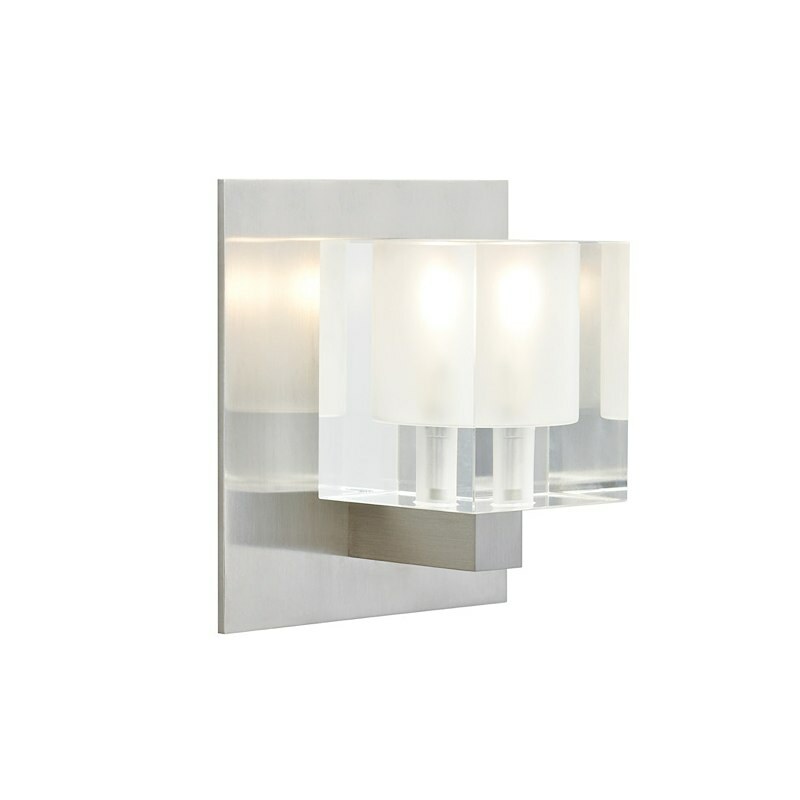 The cube wall sconce in frost glass features a classic geometrical shape created from pressed glass. 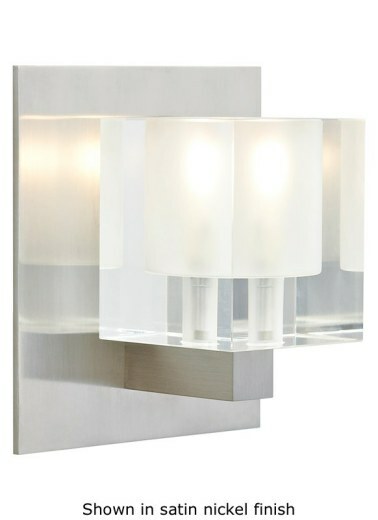 This unique wall sconce provides ambient and up-light. Includes transformer and 12 volt, 35 watt halogen bi-pin lamp. Dimmable with standard incandescent dimmer (not included). ADA compliant. For full information please see the specification sheet.